Herbal vinegar is easy to make and provides a simple way to add flavor to salad dressings, marinades, and every day meals. This project does require some pre-planning, since the herbs must steep for at least a week (and often up to three weeks), but it's worth it. The most important thing to remember when making an herbal vinegar is to use enough herbs. It's common to use too little, but this often leads to herbal vinegar without much flavor. Approximately one cup of fresh herbs is needed per two cups of vinegar. This can be adjusted to account for stronger tasting herbs (use less) or very mild herbs (use more). Also important — select herbs that are in good condition. Don't use herbs that are yellowing. Avoid using powdered herbs or spices as they will make the vinegar cloudy. Finally, herbal vinegars can be made with single herbs or a mixture of different ones. Garlic is also a nice addition. Makes 2 cups of herbal vinegar. Clean herbs by preferred method. If herbs are organically grown, a general rinsing should suffice. If not organically grown, soak in water before rinsing. Place in a sterilized jar. Gently bruise the herbs by pressing with a spoon or smash a few times in a mortar and pestle before placing in the jar. 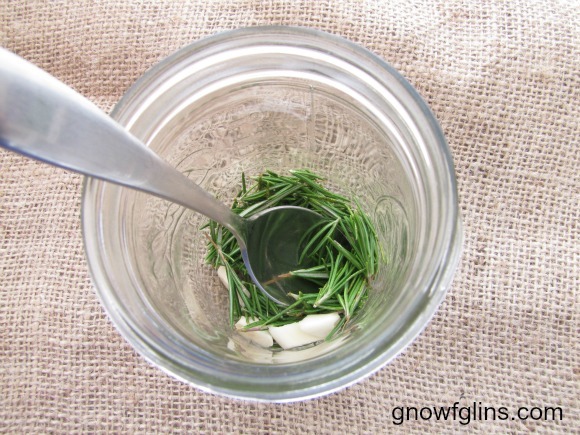 Pour vinegar over the herbs and close jar tightly. It's best to use a non-metallic lid, or a piece of plastic wrap over the top of the jar before placing the lid on to keep the vinegar from coming into contact with the metal (it will react with the vinegar). Keep jar in a dark place (such as a closed cabinet) at room temperature for at least one week. Check to see if the flavor is the strength you desire. If not, steep another week or two. If after three weeks the flavor is not very strong, try adding more herbs and leave to steep again. Once the flavor is to your liking, strain out the herbs and pour the herbal vinegar into clean bottles. Cap tightly and add a label. Note: If you don't wish to taste the vinegar every week, leave it to steep for about three weeks and it will likely be just fine. White wine vinegar. White wine vinegar goes well with many herbs and is perfect for herbs or flower petals that produce color. Dill, basil, tarragon, chervil, and lemon balm are well-suited to white wine vinegar. Red wine vinegar. 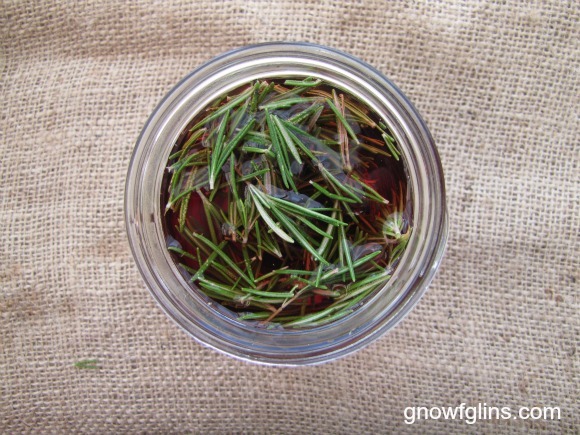 Red wine vinegar adds a rich flavor and pairs well with sage, thyme, parsley and bay leaves. Apple cider vinegar. Apple cider vinegar pairs well with many herbs and makes an aesthetically pleasing vinegar. Herbal vinegars with apple cider are suitable for cosmetics; see below. Champagne vinegar. If you want to be fancy, champagne vinegar will produce a beautifully delicate herbal vinegar. Herbal vinegar can be used in a variety of ways. Here are a few suggestions. I'm sure there are many more! Use in salad dressing (usually one part vinegar to two parts oil and a little sweetener (maple syrup or honey), if desired. My favorite salad dressing is made with tarragon vinegar. Make a creamy salad dressing by mixing herbal vinegar with mayonnaise. Use to baste chicken while baking. Add a splash to soups and stews to add extra flavor. Herbal vinegars made with apple cider vinegar are also suitable for cosmetic use. Hair rinse. To use as a hair rinse, mix 1/4 cup of herbal vinegar into one quart of warm water and pour over hair. It will remove soap residue and leave hair soft and shiny. Rosemary is an excellent herb to use on hair. Facial toner. To use as a facial toner, dilute one part herbal vinegar to three parts distilled water. Apply herbal vinegar/water mix to a cotton ball and wipe over freshly washed skin to remove excess dirt and tighten pores. As you can see, making herbal vinegar is quite simple. It makes a great gift and is a fun way to spice up every day meals! I hope you'll give it a try. 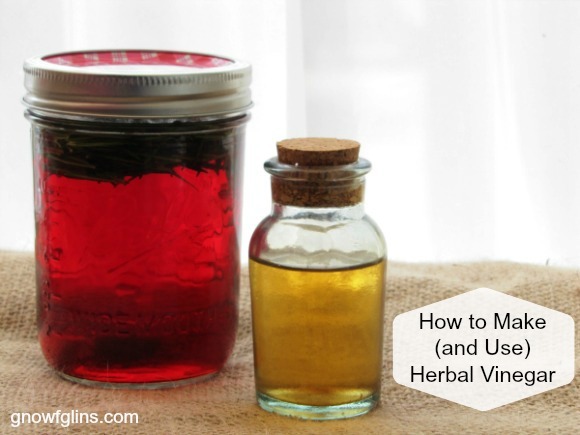 Have you ever made herbal vinegar? If so, what is your favorite herb to use? 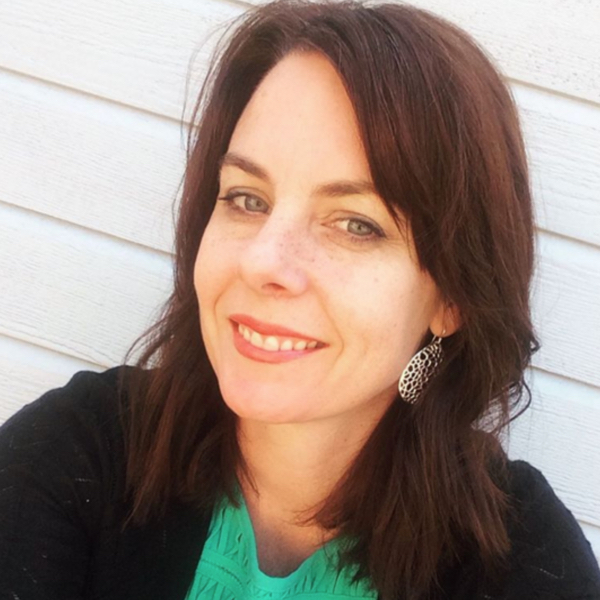 Thank so much for the insight on making herbal vinegar – I have bookmarked this so that I can use it later. Thank you so much for this information. These herbal vinegars will make lovely Christmas gifts and I will be trying the various uses you have listed. I’m already using the rosemary hair rinse with excellent results. I would love to see more posts on herbs and their uses. For as much as I love herbs, I’m almost embarrassed to say that I have yet to make an herbal vinegar! I need to do it, though. Your tutorial makes it sound super-easy! I’d love to make an rosemary vinegar for my hair. Constantly bookmaking these but I also wish they had a printer friendly copy of the recipes so I could add them to my recipe binder.